Suit up! They say there are only a few articles of clothing a man really needs to own in his life. “A nice suit” is almost always listed at the top of this list, however, the reasons why are almost always unclear. 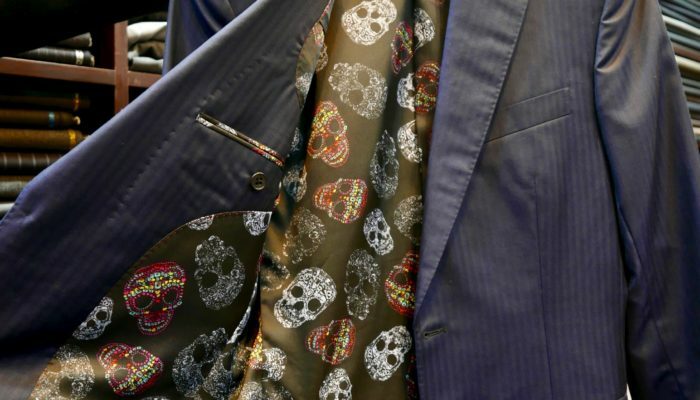 Fact is, there are hundreds of details visible on a suit that can fully reflect your personality and style. Ever wonder why in the tv series, “Suits,” you instinctively know Harvey is the leader and Mike is the understudy? If you understand peak lapels, Milanese buttonholes, side vents, and flapped pockets, you’d catch what the producers of the show are trying to convey – that a suit can speak volumes about your character and style in one of the most profound yet subtle ways possible. Read on to find out why a tailored, bespoke suit is a must make purchase when you’re in Hong Kong. The history of Hong Kong tailoring stretches back more than 100 years into the past, with its roots beginning in Shanghai, China. Shanghai was then considered an international mecca for tailoring talent, with many Chinese tailors learning their craft while abroad from the best Italian, Russian, and British tailors during their travels. 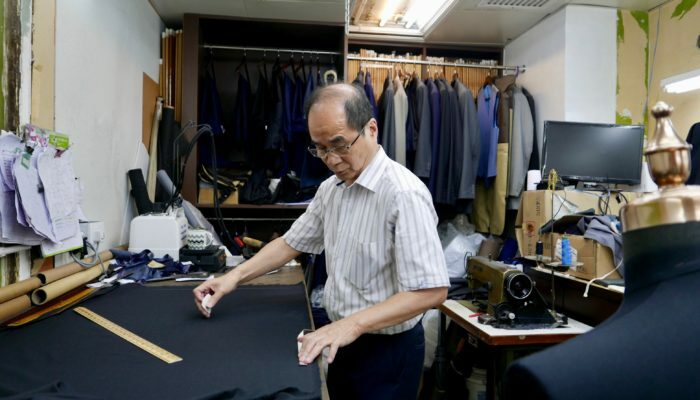 Many of these expert Shanghainese tailors started making the move to Hong Kong in 1946 after China’s Cultural Revolution to seek better fortunes. There, their already international style of tailoring mixed with a completely distinct Hong Kong style, gave way to a number of unique techniques and styles that were found nowhere else in the tailoring world. The colonization of Hong Kong by the British ensured that Hong Kong tailoring also stayed true to the deep Western traditions of suit-making. 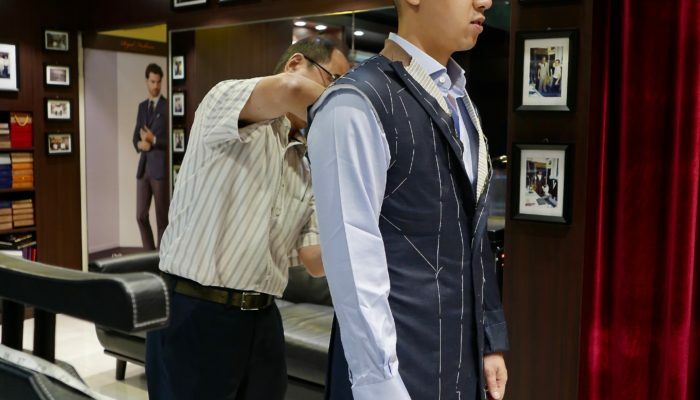 Today, these unique techniques and traditions are exclusively used and followed by the best tailors in Hong Kong, who have passed down these finely tuned methods from generation to generation, eschewing the modern technology that often tries to save many shops time and money. Put simply, they believe the best way is still the traditional way. If you’re ever at a Hong Kong tailor, ask if you can see the shifus (“masters” in Cantonese) work to watch their breathtaking chalk, line, and freehand cuts in action. One of the biggest hurdles for people getting a tailored suit is the cost. The bespoke, tailoring process can be prohibitively expensive, as it involves making a suit from the ground up with every fabric decision, cut, measurement, and detail considered. This usually takes up to three separate fittings or more to make sure your suit is perfectly tailored for your body. The problem is that this type of perfection usually comes with a hefty price tag – the process can easily cost you over £5000 ($6500 USD). Yikes. But if you’re in Hong Kong, you’re in luck. You can get a bespoke suit with top notch service for a fraction of the price – around $1000 USD. While the price is considerably lower, you can be assured the quality doesn’t take the same dive. As mentioned, most reputable Hong Kong tailors come from a long lineage of tradition, so certain standards are necessary. Another plus point: the best materials and wool are all still used and available in Hong Kong, sourced from the same venerable shops as in Milan and London. This means your Hong Kong suit will hold its own against even the best tailored suits in the world. While you may find cheaper prices in other countries in Southeast Asia, none will offer you the type of quality or tradition you’ll find in Hong Kong. Even when in Hong Kong, it’s recommended you don’t stray too far into the “cheap suit zone” and that you get as many fittings as possible during your trip. These are good benchmarks as to how much time and money the suit making process should cost without cutting some big corners. If you go under this price, you might have to make sacrifices in quality, stitching, materials, or the number of fittings to perfect every last detail. If you’re getting a suit, it’s an investment. A suit often serves as a visual statement as to who you are and can last forever, so it’s best if you do it right. While many of the best tailoring shops around the world are judged and scrutinized by the yardstick of tradition that we’ve already mentioned earlier, Hong Kong tailoring is unique as it’s often able to straddle the line of craftsmanship and innovation. 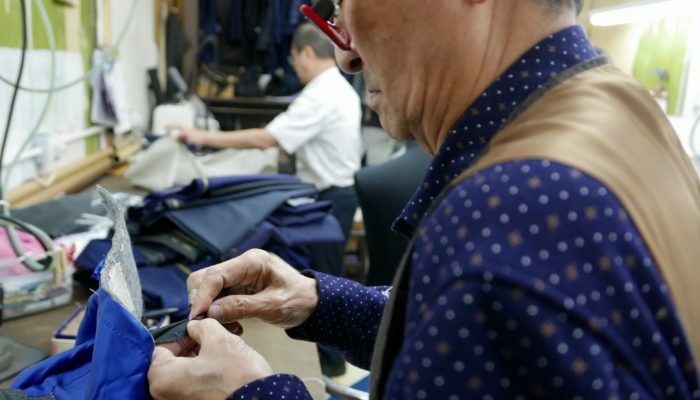 You have to understand the rules in order to break them, and Hong Kong can do just that, with many tailors willing to try something new. Your favourite Korean pop artist wearing a specific cut and style of suit that you want to emulate? Want some custom patterned lining for the inside of your suit? Are you a magician that wants to look dapper but you also need a couple of hidden pockets stitched into your suit for your act? 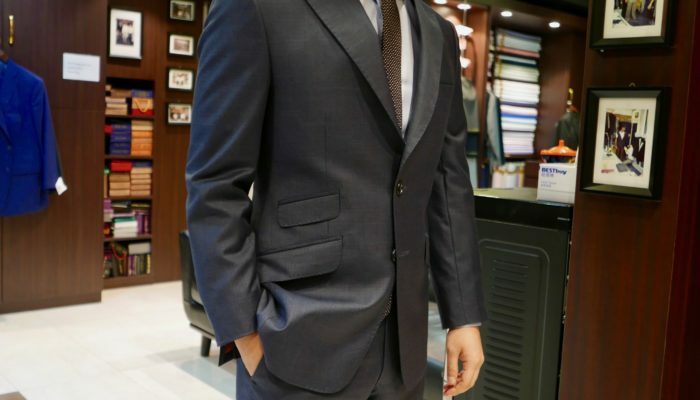 While you might get shown to the door at many high end shops, many Hong Kong tailors are willing to work with you to get you the suit you really want… but they know enough to let you know when you should draw the line. There are myriad things to do in Hong Kong, but if you’re looking for a unique experience and want to make a purchase completely Hong Kong… well, you can’t go wrong with a tailored suit.